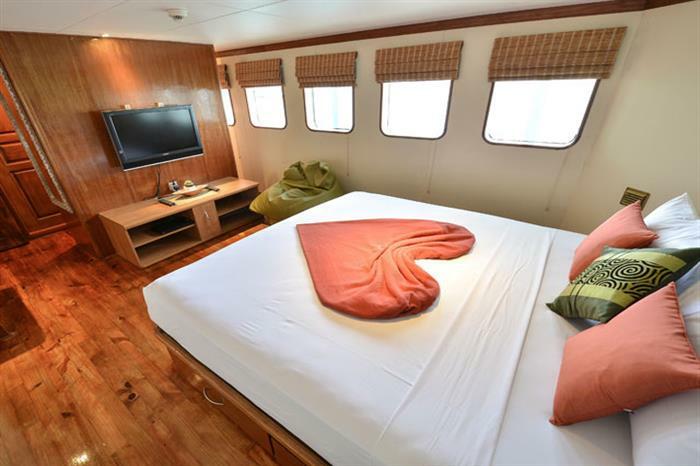 Measuring 35 meters, the Carpe Diem liveaboard is a luxury yacht providing unparalleled diving holidays in the Indian Ocean. 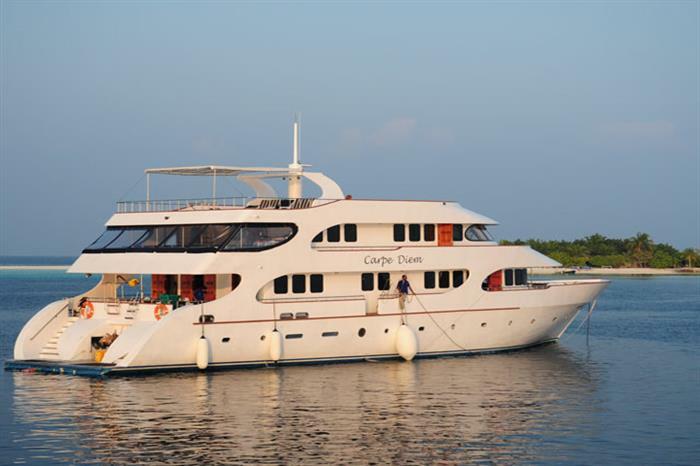 A sister vessel to Carpe Vita, the M/Y Carpe Diem offers dive cruises to the Maldives and can accommodate up to twenty guests. 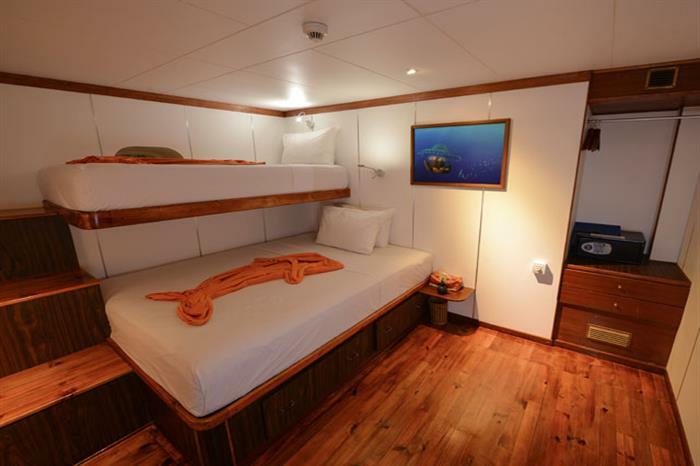 This deluxe liveaboard features ten suites which are located on one of three decks and each feature an en-suite bathroom, air-conditioning, and modern stylings. 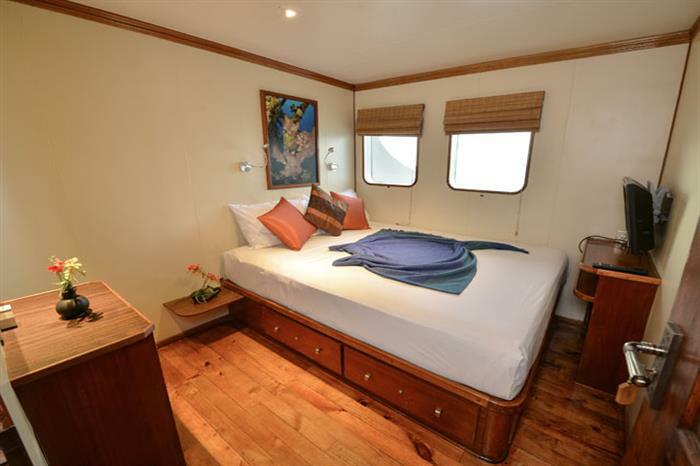 The Carpe Diem also has a spacious lounge and salon area complete with a large entertainment unit, perfect for relaxing in after a long day spent diving. 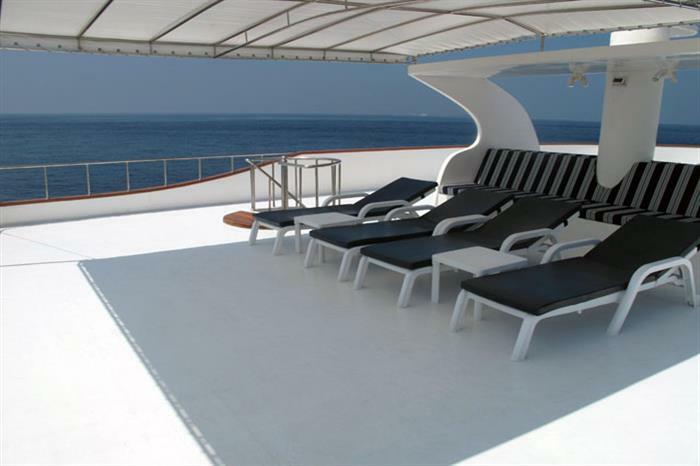 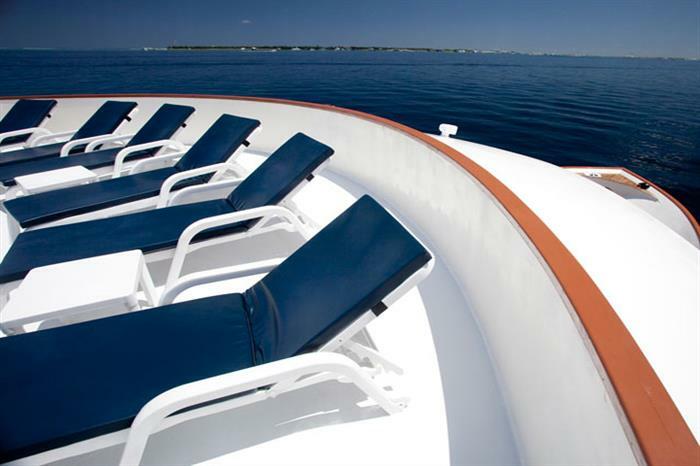 Enjoy the beautiful sites of the Maldives and take in the ocean air on one of the three sun decks around the vessel, or relax on one of the loungers. 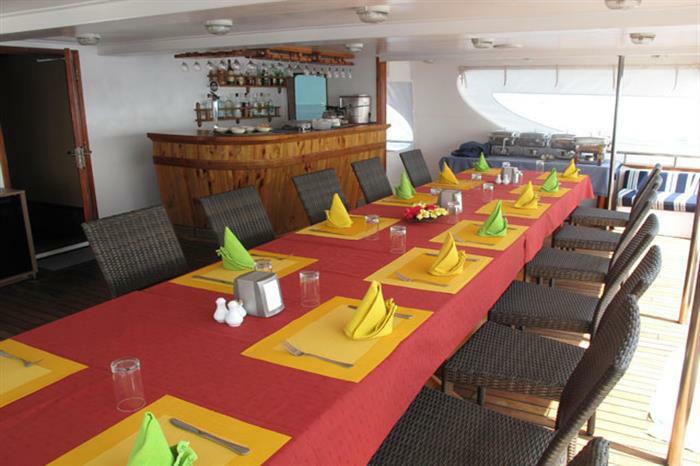 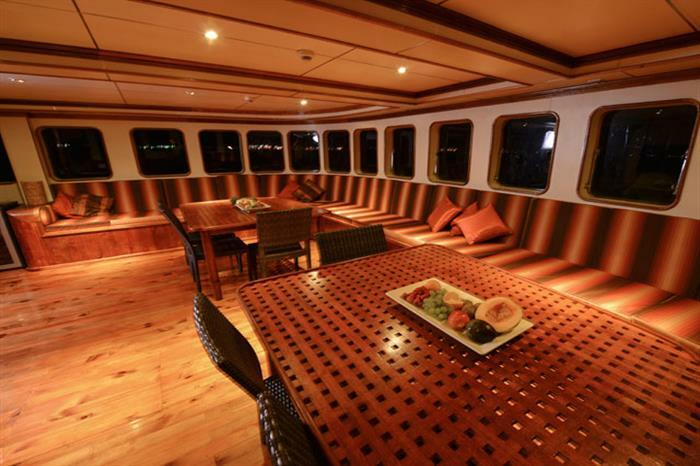 The crew of the Carpe Diem will also serve delicious buffet-style cuisine daily. 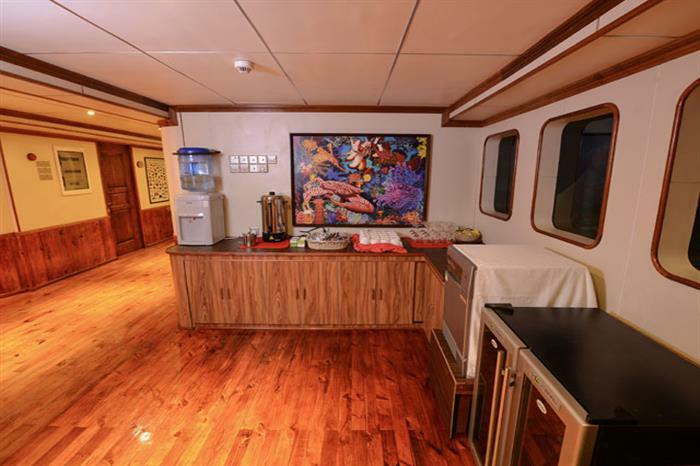 With dive trips offered all year long, the Carpe Diem offers both seven and ten night diving holidays to dive spots including Maaya Thila, Kudarah, the Machafushi wreck, Fish Head, and Masha Point. 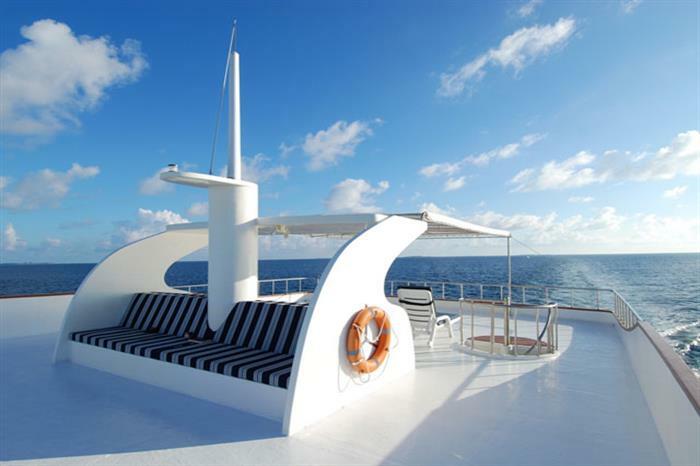 Perfect for underwater photographers, these pristine waters are full of sea life including sharks, sea turtles, thousands of species of fish, beautiful and vibrant coral reefs, and stunning wrecks to explore. 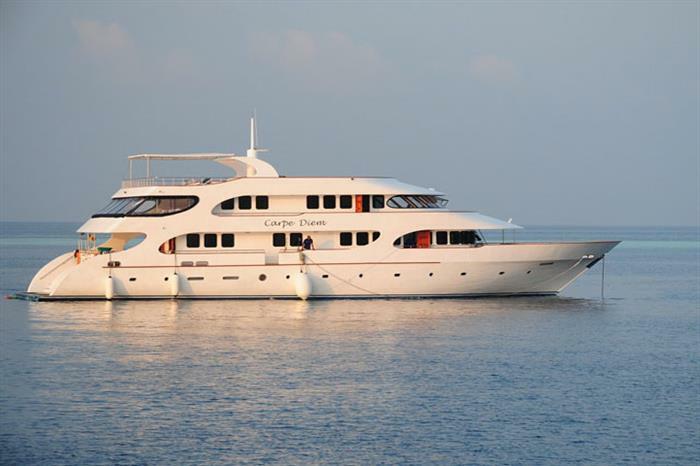 The Carpe Diem offers exceptional diving holidays in Maldives. 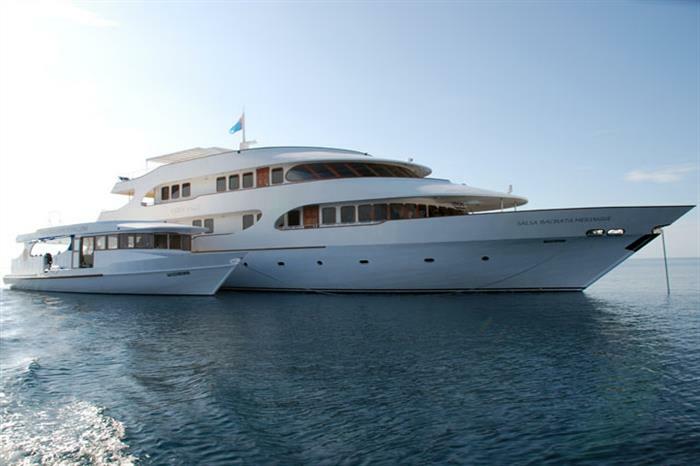 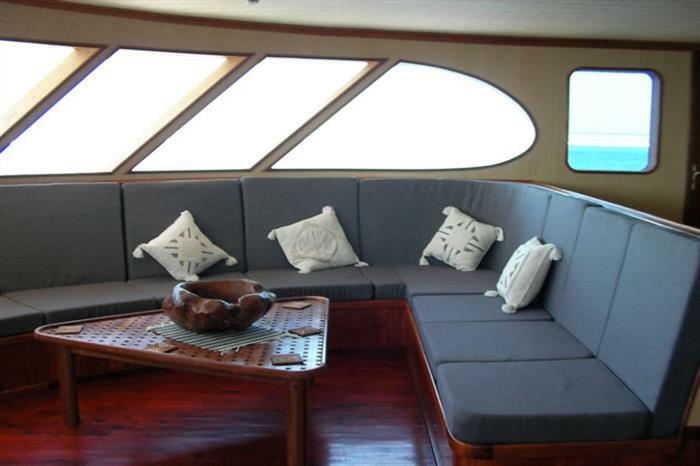 Book your exceptional diving holiday to the Maldives aboard this vessel today! 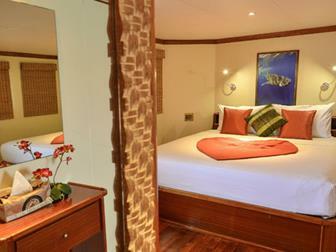 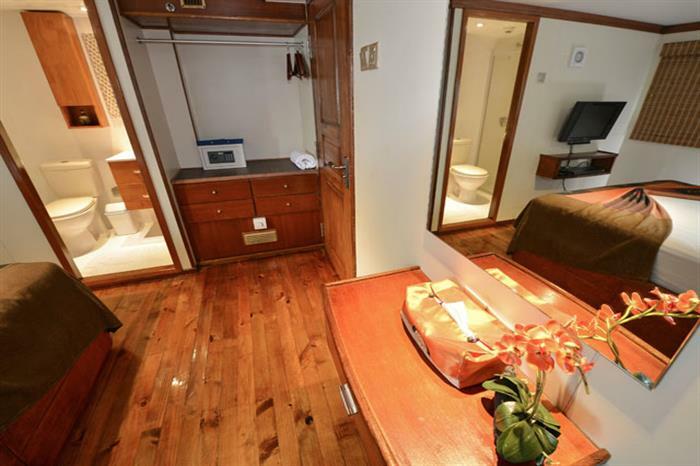 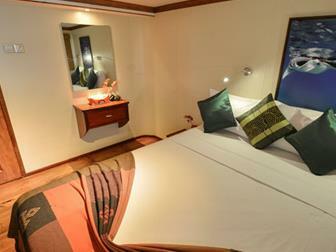 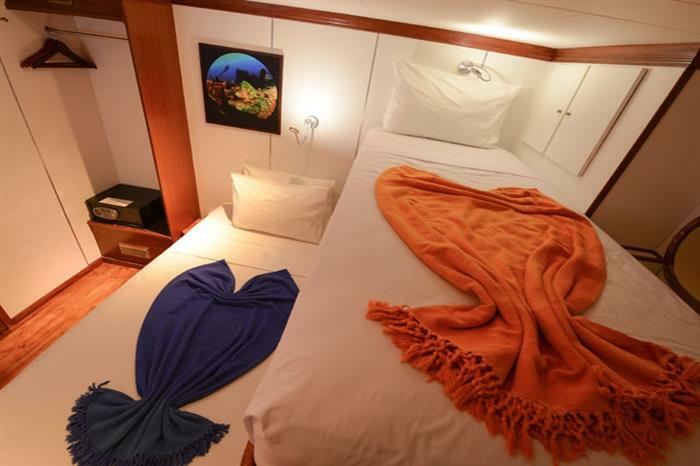 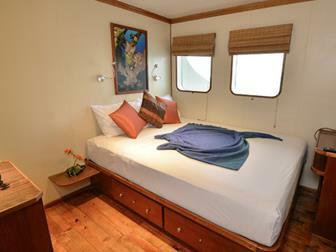 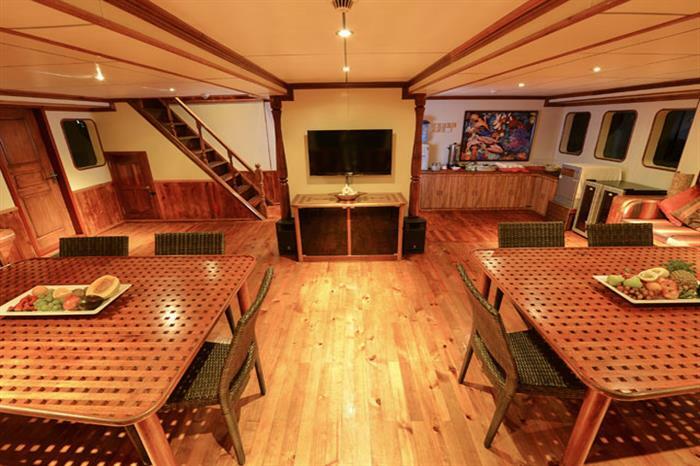 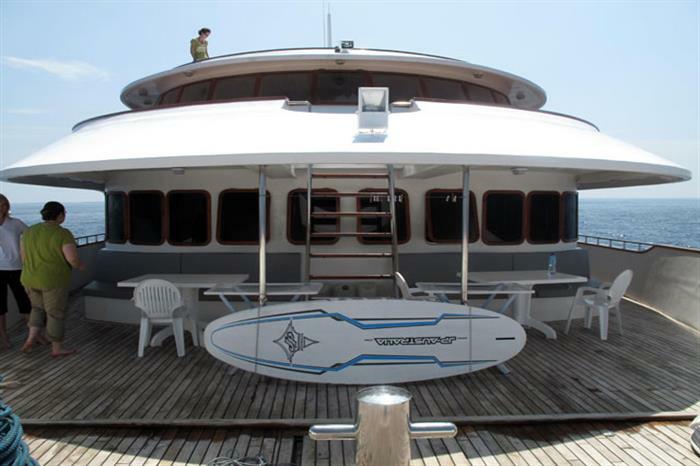 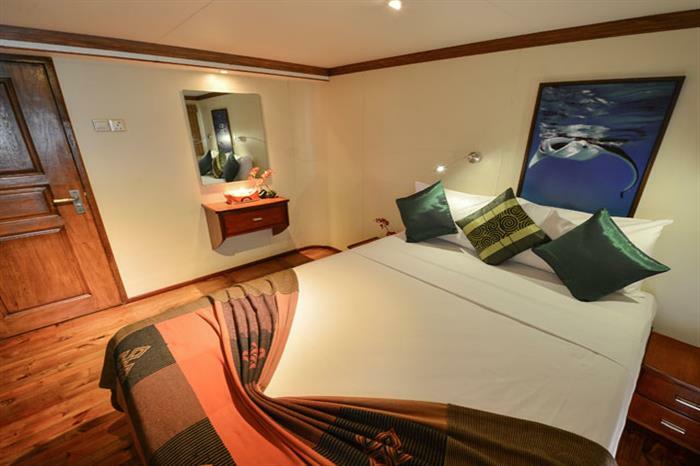 The standard cabins, SALSA, SCUBA, SURF, SMILE, SNORKEL and SKI are located on the cabin deck below the main deck. 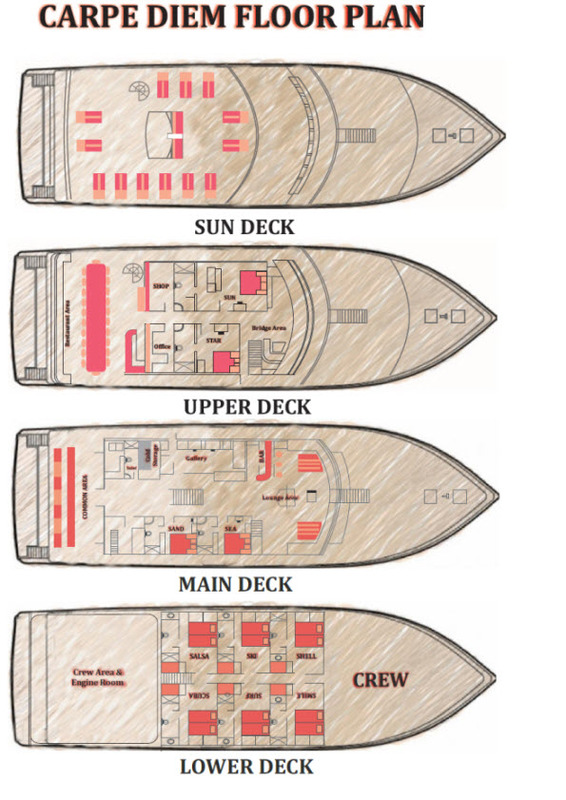 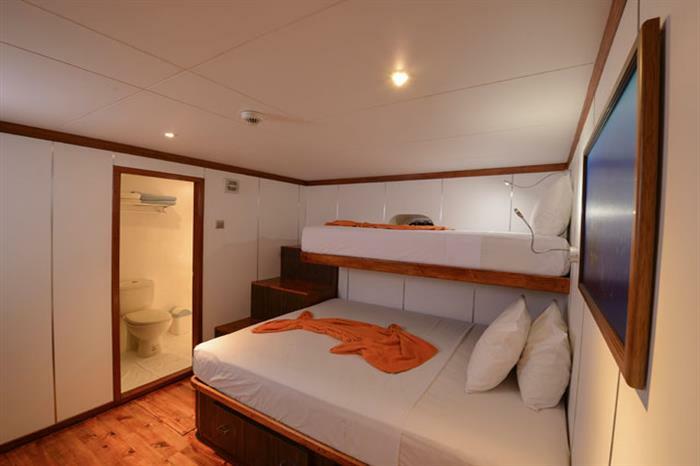 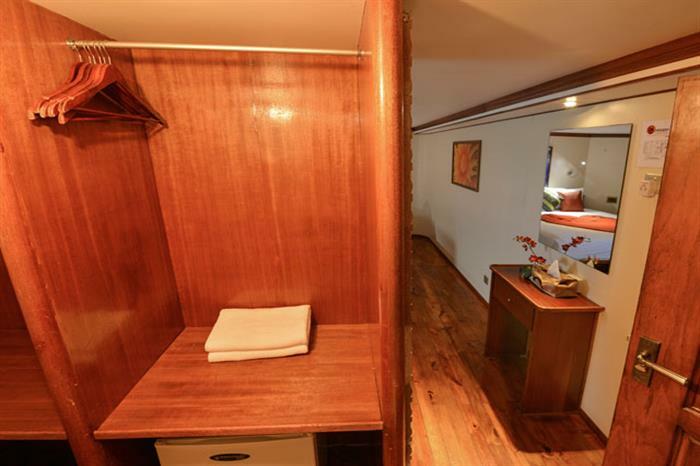 4 of these standard cabins are very spacious having a queen double bed and bunk bed. 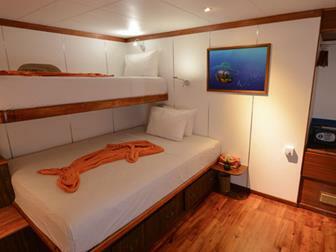 The 2 other standard cabins each have a twin bed and bunk bed and can only take twin sharing occupancy. 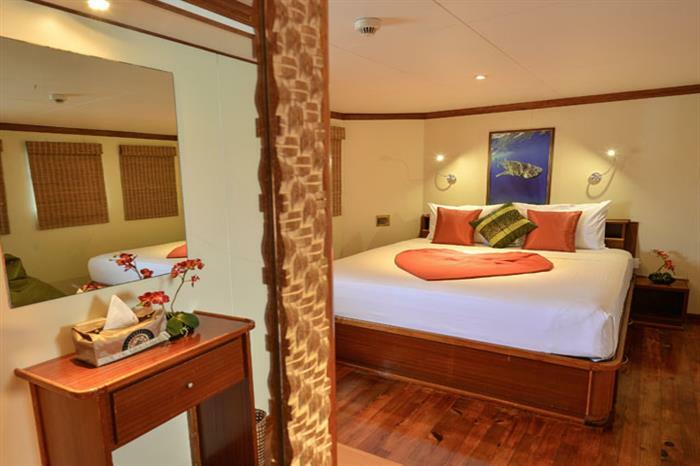 All standard cabins have portholes.